The Tribal Lively-hood is based upon three basic elements called LAND, FOREST and CULTURE. Land provides food for three to four months a year where as the Forest provides food for eight months. 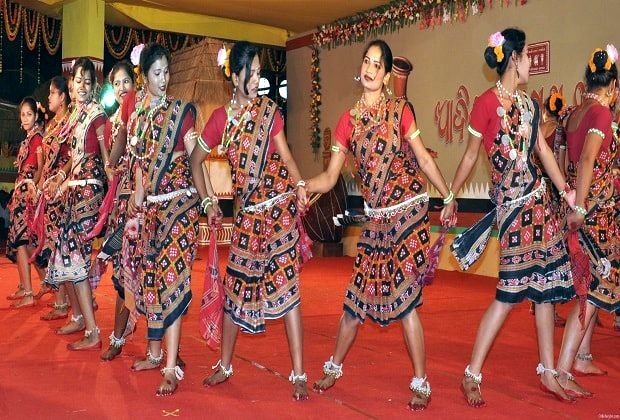 Culture is the life of the Tribal people which plays a vital role on the life situation of the Tribal people. But in present position they are staying far away from their ancient culture. Hence, the lives of the Tribal people are not in a stable position which invites their misery. In this juncture, we are initiating them to preserve and strengthen their ancient culture, be involved with different life-saving activities and be reconnected with spiritualism in order to empower them and save their community from the attack of other culture and Anti-social elements from the unprecedented situations. 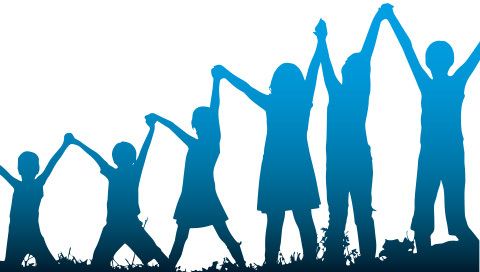 Formation of Educative-Community Organizations, the most powerful platform that bears the “Top 20 Social values” to bring the strength of the community. Creation of Transformational Community leaders to fight for their Rights and raise their voice against exploitations. 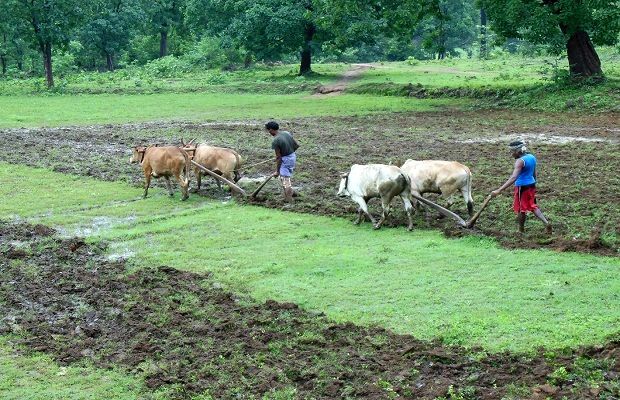 Establishment of Village Banks, Rice Banks, Grain Banks (Seed Banks) for Food Security, Health Security, Social Security and Disaster management like Draughts, Floods and Cyclones and availing the opportunity to meet their emergency need. Establishment of village Death Funds with the noble aim to perform the funeral ceremonies without any financial burden. 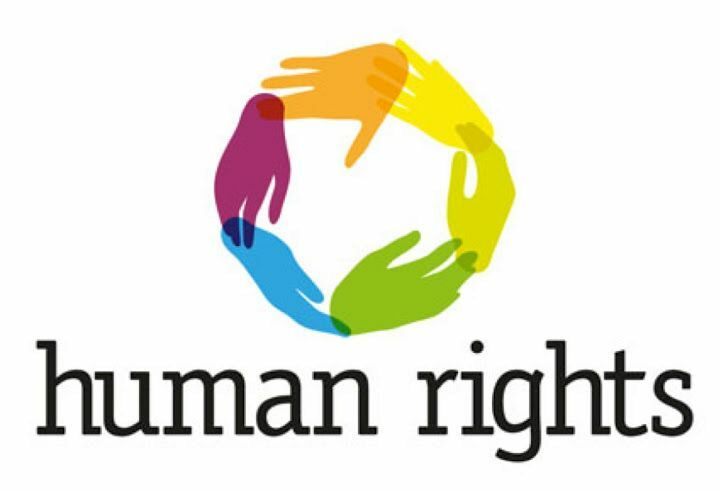 Raise their voice for Land Rights, Human Rights and Social Rights and to avail the welfare projects of the Government. Connecting them to conservation of Forest, Environment and Wildlife. 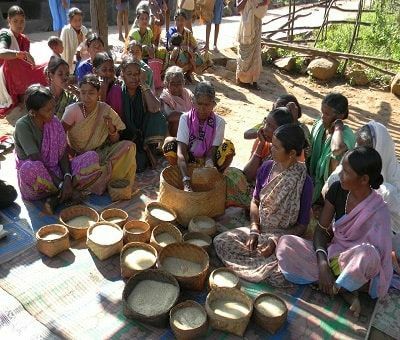 Linkage to nearest “AMCS” (Agency marketing Cooperative Society) for marketing of their forest produces and advice to stay far away from loans and exploitations which is the most exterminatory element of Tribal life. Preservation of Tribal Culture and Re-connecting them to Spiritualism for an economical survival, creation of self-confidence and peaceful life. To improve the subsistence Agricultural production that is having medicinal values, Economic for cultivation and provides Food Security and helps for Climate Change. Millets are being developed which are nature-based food supplements and rich in vitamins and proteins. We are also providing Leadership Trainings to the men and women and the youth mass of all villages so as to promote their Leadership quality in order to raise their voice against severe Exploitations and Social Injustice and to face the anti-social elements of the society. The people are also being educated on protection and preservation of their Common Property Resources and to have its proper utilization. Practices of Land use: The Land use practice is generally horizontal and sometimes it is Vertical for the purpose of Subsistence Agricultural cultivation. 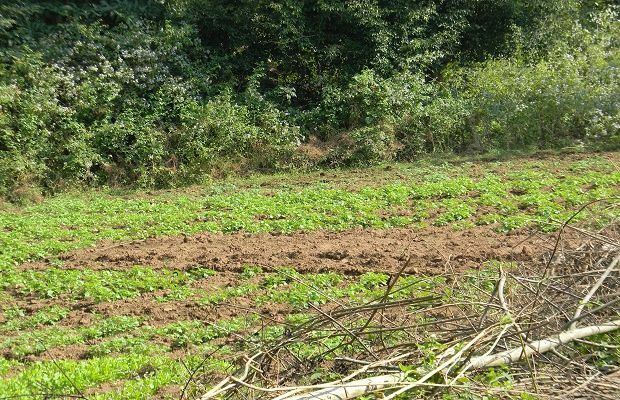 Crop Coverage: Suan Rice, Ragi, Maize, Black gram, Beans, Pea, Cowpea, Turmeric, Zinger etc. which are totally grown in Forest Area without more care and more labour. Duration of the Crops: The duration of the crops are very less i.e. before 60 days except the Turmeric and Zinger. Provides Food Security for all and focusing on Tribal Land Rights. No need of more water, fertilizer and pesticides. Nutritional contents are more and Medicinal value is there. Economic for cultivation and Easy to harvest. No Possibility of infection and Palatable for consumption. Freedom pattern of cropping and market demand is very high. Fertility of soil will not be destroyed and the best practice for Climate Change. Over all, the cultivation is Eco-friendly, Climate-friendly, Climate-resilient, Climate smart, Carbon smart, Water smart and Energy smart. Establishment of GRAIN BANKS by the Community members so as to face the Disaster situations like DRAUGHT, FLOOD, CYCLONE or any NATURAL CALAMITY. Establishment of VILLAGE DEATH FUNDS by the Community so as to help all individuals amongst them at the time of anybody’s death in their Family. 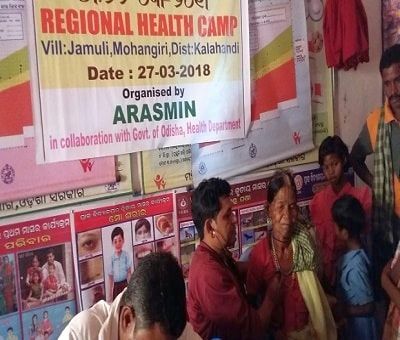 Distribution of Vitamin-A, Albendazole tablets and Multi-vitamins for the pregnant women and lactating women are in continuation by the help of VitaAngel, USA. Periodical awareness campaigns are being done on Contagious Diseases, specifically on Tuberculosis, HIV/AIDS and Malaria Fever which are very common in this Tribal belt. We have been taking a dynamic role at Regional level and National level for Care, Control and Eradication of Tuberculosis. Awareness campaigns are being conducted for the Children suffering from lungs disease by taking Cigarettes, Alcohol and Tobacco are advised to leave up that habit. 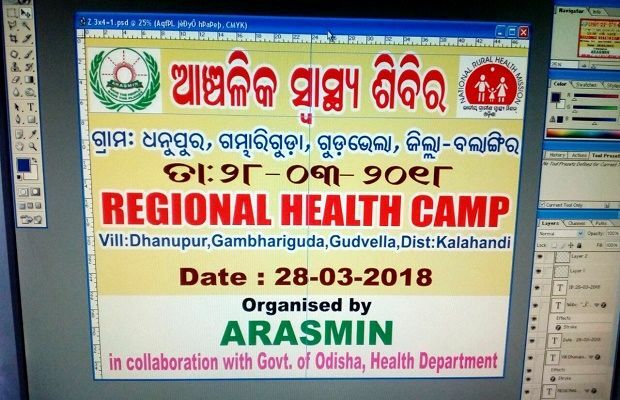 We are activating the Health Care activities undertaken by the Government of Odisha and providing our support and assistance where ever necessary. 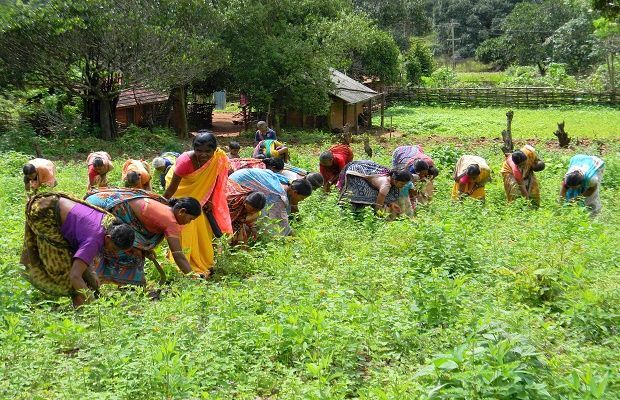 The people are being taught for Herbal Plantation and take the highest benefits of the indigenous medicines. 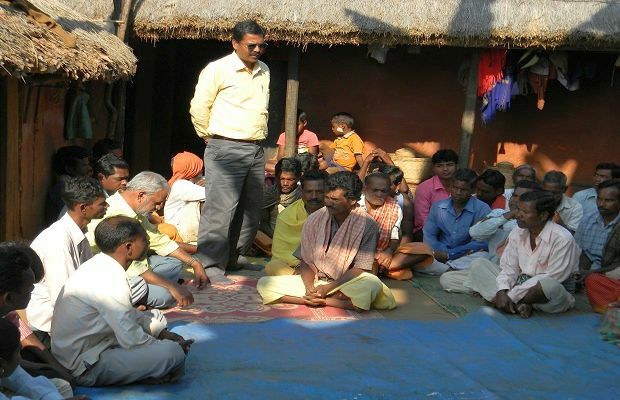 Some Health tips are being given by the “Village Vaidyas” (Indigenous Medicine Experts) to the Tribal people. 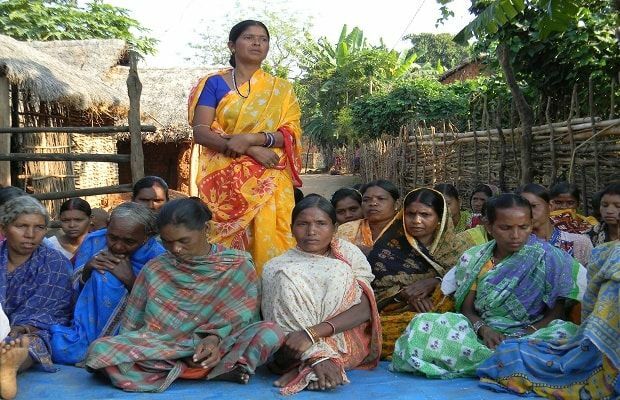 Trafficking of women in different manner and abuse to Girl children in this Tribal belt was a very common issue. The Socio-economic condition of the family is told to be the vital cause of the fact, but derivation of culture is another vital cause of the same. Hence, we are having regular Awareness programmes and interactions with the women mass for Women Empowerment, Gender equalization and Girl trafficking etc. so as to avoid such unpredictable situations. By means of our regular interactions, we have been able to sensitize the women and bring a significant change. 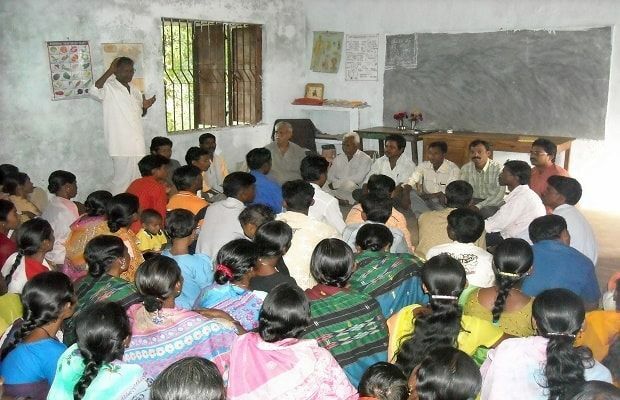 Some of the villages adjacent to our area of operation being attracted with the activities of our people have followed them, but due to proper guidance though they have not developed as per their expectations, there are some changes in their life situation because of the establishment of Village Sangathans, Rice Banks, Cash Banks and Seed Banks. Culture is the most important aspect of Human Life cycle. Especially in Tribal belt, all the ancient people were abided by the law of their Culture and Tradition which was very Economic, Scientific and based upon Spiritualism and were getting lots of benefits out of the same. But, in course of time they have lost their ancient culture and have accepted the Culture of outside for which they are facing different hazardous situations and inviting their misery. In view of this fact, we are having regular inter-actions with the people and inspiring them to preserve their ancient culture and be acquainted and re-connected to spiritualism so as to take the best advantages of the same. They are advised to preserve their traditional Songs, Dances, Arts, musical instruments, Agricultural appliances and their Ornaments, brought back from the MAFIAS and looters. They are also advised not to destroy their heritages and to worship their Gods and Goddess with heart and soul. This has become a habit of these poor people and every year they are celebrating the Mega Cultural Functions in rotation inviting all Officers and Political Leaders of the District. The people are not aware of the merits and benefits of Education because they are illiterate, ignorant and innocent by nature and financially unprivileged. The financial condition of these people is so precarious that they are struggling for their own existence at all times. So, they don’t take care of the education their children. Due to ignorance of the parents on education and drastic financial scarcity, all the children are neglected that leads them to pass their times in merry-making and taking country liquor like their parents. Some of the people being pressurized by the poverty to go on seasonal migration with their children which is a great barrier for the education of their children. Some of the children are taken away by the Hotel owners and some are working as the Home servants at different places. Sometimes, the children are engaged in accompanying their mothers to sale their forest produces at the nearest markets and sometimes they help their parents either in “Podu” cultivation or shifting cultivation or grazing their Goats. A number of children in this Tribal belt are addicted to country liquor and take country-made cigarettes and “Gutkha” (Beatle spices) regularly that invite the Lung disease, Tuberculosis and HIV/AIDS. The Schools are established far away from the villages which are another misfortune and drawback for the children to attend the Schools regularly. Almost all the children below 10 years of age and some old persons of the Tribal community do not understand other language clearly except their own Tribal language for which we have engaged our Organization staff from their own community. We have established one permanent Educational Institution to provide better educational facilities to the Tribal Boys and Girls in our area of operation. 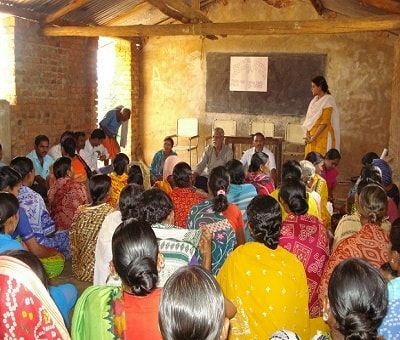 Now, the Institution getting Grant-in-Aid from the Government of Odisha is running smoothly. A large number of students passing out from our High School have developed and have acquired alluring jobs. 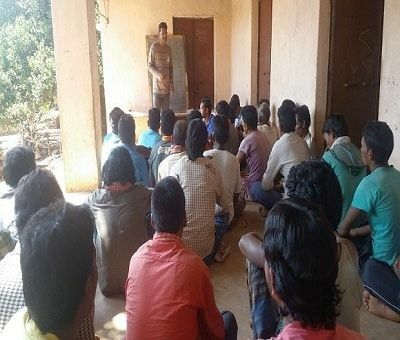 Regular efforts are being done to educate the dropout students and Orphans by admitting them in different Ashram Schools (Residential Schools of the Government) and a large number of poor and neglected Tribal Children have been benefited by this exertion. Encouraging the poor Tribal Children and the youth by involving them with cultural programmes, Tribal songs competition, Folk dance, Arts competition and Tribal folklores by taking Sun day classes. Providing integral Education on different aspects of the society along with their study by means of regular interaction in a strategic manner to empower the children and the youth in order to create transformational Leadership out of them. 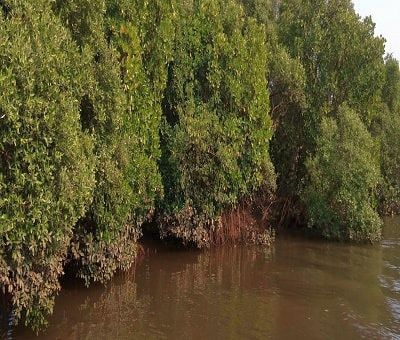 We are also providing social education and feed backs to the children on conservation of Nature so as to protect their environment and make it well-built for future generations. Awareness Campaigns are being conducted on Child Rights, demerits of Child Migration and the privileges offered by the Government to make the Children socially and culturally powerful. We are also taking the Health Care of the children and providing different type of cost-free medicines like Vitamin-A, Proteins, Minerals and Albendazole tablets in conjunction with “VitaAngel”, USA. Periodical meetings and awareness campaigns are being conducted so as to educate the people on their Social Rights, Human Rights, Legal-aid aspects and checking the seasonal Migration, Displacement and contagious diseases like TB and HIV/AIDS etc. We are also activating the Government welfare projects in order to assist the people for availing the opportunity of Drinking Water facility, Indira Awas Houses, Ration Cards, Old-age pension and destitute pensions etc., very fast. 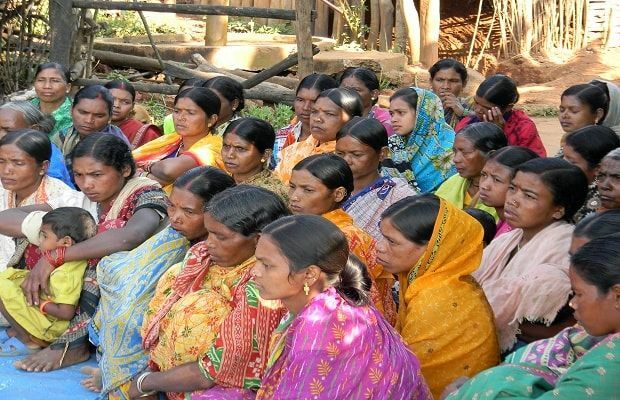 The Tribal people possessing the forest lands since 50 years back are not in receipt of the Record of Rights. Hence, all the Community Organizations in our area of operation are taking combined efforts at official level to acquire their Record of Rights which will help for conservation of Nature, protection to wildlife and Climate Change. The achievements made by our Staff members on Land Rights and Human Rights are up to our great satisfaction as we have organized 4 numbers of awareness camps in conjunction with our local MLA and the local Revenue Officers and the process of application for forest land is in force. The last Panchayat Raj Election has proved our efficiency that despite of the foremost powers of Men, Money and Meetings of other political Parties, our community members have acquired large number of portfolios. The Regional Networks are formed since the commencement of our programme and functioning smoothly. All the Office bearers and village activists of all concerned V.D.S. and M.S. are attending the meetings regularly and sharing the problems and situations of their own villages and having meticulous discussion. In case of any injustice or exploitation in the area, it is the appropriate platform they think and take the decision for prophylactic measures. Periodical Village meetings, Jhankars (Tribal Priests) meetings, Block level Network meetings and Regional Network meetings are continuing smoothly and the Community Organizations have been strengthened to face the anti-social elements. We have created some dynamic village Leaders who are the precious assets for their village to pioneer the people and they are in frontline to confront the exterminatory groups who are sucking the blood of the poor people. Exploitation has totally reduced in our area of operation and some of the migrated Money-lenders and Businessmen have returned back to their native places. People have become free from Loans. Dependency, Interest burden, Wants and getting help at mid-night which is not at all expectable from Banks, Money lenders or from any Financing Institute. Dependency of the people upon Banks, Financing Institutions, Money lenders and Businessmen has reduced to 95%. Physical violence and subtle violence caused by the fundamentalist groups and other destructive groups has been totally stopped. A large number of people have been able to get back their mortgaged landed property and gold ornaments partially from the Money-lenders and Businessmen. People being engaged with Leaf-plate making, Bamboo work, Tailoring, supply of utensils, Haller Machines and Sound systems are earning something. Bonded Labour, Migration and displacement have reduced to 80% that saves them from the unprecedented adversities and different contagious diseases like HIV/AIDS and Tuberculosis. Marketing of Forest produces are being done by the AMCS (Agency Marketing Cooperative Society) and the people are getting the genuine rates of their Forest produces like mangoes, Jackfruits, Resin, Honey, Sal leaves, Siali leaves etc. Taking Mango-stones, Tamarind-seeds as their food in exigency has been stopped completely as the Rice-Bank has been strengthened. The life-saving crop of the Tribal Area the “Subsistence Agriculture” has been adopted by near about 50% people. 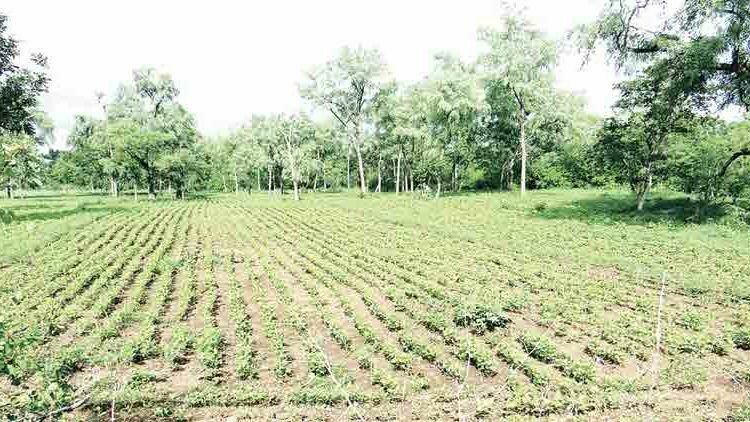 On their Land Right venture, more than 2000 families have got the individual Record of Rights (RoR) of their encroached Forest lands. 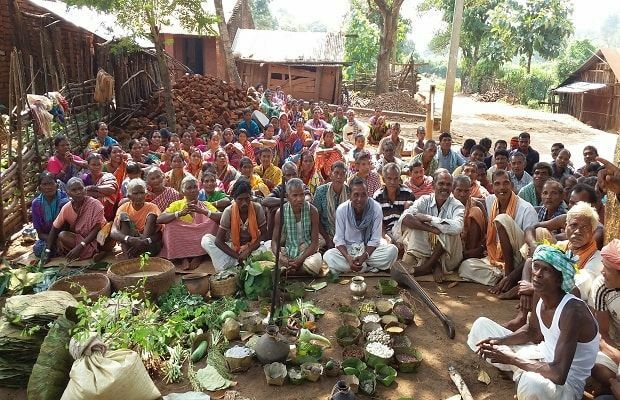 The community members have acquired the Rights on their Community forest lands measuring more than 2500 hectors from the Government of Odisha. The most advantage they have taken to save and promote the Forest lands and Environment by taking the same to their own control which was not possible on the part of Forest Officers. They are also being encouraged to keep domestic animals like cows, goats and poultry birds which are more helpful for human life and for their subsidiary income. All the women mass in our area of operation who were hiding themselves with fear at the arrival of any officer to their villages have been sensitized, demanding for their Rights and taking vital parts for the developmental activities. Renovation of their traditional Culture and reconnection to Spiritualism has provided them courage, spiritual power and mental strength to proceed ahead. Now, a number of villages in our area operation can be designated as Eco-clubs without visitors, every day is a cheerful day, every evening is an enjoyable evening and every moment provides heavenly peace and pleasure.